The Roman Empire was a vast empire that stretched over three continents, from Britain in West to Syria in the East. This included most of the Western Europe, Mediterranean region, as well as North Africa. To provide proper connection between different regions of this vast empire in order to ensure mobility of population and military troops and to facilitate trade, a vast network of roads was needed. Just like other domains of public life, Romans also constructed a sophisticated network of ancient Roman roads which survived through the subsequent middle ages right up to the modern times. The construction of roads began soon after the establishment of Roman republic, as Rome began conquering the neighbouring tribes and city states. This was the era around 500 BC. 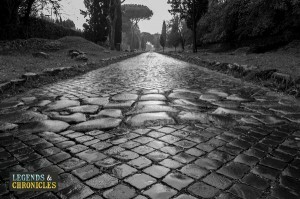 Roman historian Livy mentions some of the famous roads in Rome as well as the milestones on them which existed long before the first paved road which was known as the Appian Way. However, before the paved roads, the infrastructure of roads was quite primitive and consisted more or less of levelled earthen tracks. Some of these ancient roads mentioned include Via Nomentana in 449 BC, Via Latina in 490 BC, Via Labicana in 421 BC, and Via Salaria in 361 BC. With the passage of time, techniques of constructing roads improved and a vast infrastructure of roads was structured throughout the Republic and the then Empire. An example of an ancient Roman road in England. There were various purposes behind the construction of the Roman roads, the most important of them being military mobility. The primary aim of this vast infrastructure of roads was the consolidation of the conquests of the empire. Another important purpose was the smooth flow of trade between different regions of the empire. A lot of trade took place between different parts of the empire and a proper infrastructure of roads was necessary for the smooth operation. Finally, it was important to maintain communication between different parts of the empire and for this too a reliable network of roads was required. The Roman roads were built using quite sophisticated technology and engineering for their time. These techniques remained unrivalled throughout the Middle Ages and were only equalled in the modern times. Standards were used for roads and the width of small and large roads varied between 3.6 feet and 23 feet. Special attention was paid to construct roads that were resistant to rain, freezing, and flooding. In ordinary terrain, gradients of 10%-12% were applied while in the mountainous terrain, the figure was 15%-20%. Regular roads were also paved with rectangular blocks of stone or with polygonal blocks of lava. The Road bed was properly surveyed before the construction of the road with a rod and a device called a groma. Different kinds of materials were used for the construction of different kinds of Roman roads. The most primitive type was Via Terrena which was just a plain road of levelled earth. 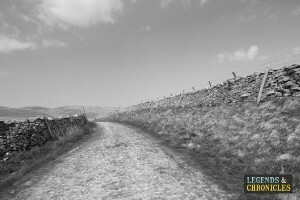 A slightly advanced form was Via Glareata which was an earthed road with gravelled surface. These roads were paved with flint stones and raised footpaths were formed at the sides with gravel on the roads which hardened the surface. The third and the most advanced type was called Via Munita which was a regular road paved with rectangular blocks of stone. Proper measurements were done for these roads and diverse materials including marble, mosaic, and blocks, stone or lava were used in their construction. The network of Roman roads was quite sophisticated not only with respect to its engineering but also the way it was operated. Various topological and road maps were available for travellers but the most common instruction material for travellers was an ‘itinerarium’ which was a simple list of all the cities and towns along any given major road. Along every major road, the government maintained way stations or ‘mansiones’ which means ‘staying places’. These mansiones were located at a distance of about 25 to 30 kilometres from each other along every major road. But these mansiones were mainly reserved for the officials while for non-official travellers private inns were constructed along these mansiones. Over the course of several centuries, a wide range of Roman roads were constructed in different regions of the empire. Some of the famous Roman roads in the region of present day Italy included Via Aemilia which stretched from Rimini to Placentia, Via Appia from Rome to Apulia, Via Aurelia from Rome to France, Via Cassia from Rome to Tuscany, and Via Flaminia from Rome to Rimini. Famous roads outside the region of present day Italy included Via Claudia Julia Augusta built in 13 BC, Via Claudia Nova built in 47 AD, Via Popilia built in 132 BC, Via Julia Augusta built in 8 BC, and many others. 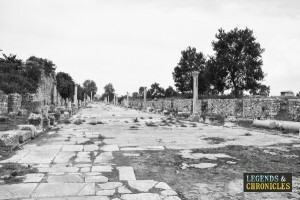 An example of an ancient Roman road, the Appian way. One of the most impressive features of ancient Rome along with their roads was the aqueducts that were constructed to bring water from the distant areas. This water was then used to provide for pubic baths, latrines, fountains, and for use in private households. Complex sewage systems were also used to remove the waste water and release it into water bodies. The first aqueduct of Rome was commissioned in 312 BC by the censor Appius Claudius Caecus and was known as Aqua Appia. It was constructed around the same time when the first major strategic road, The Appian Way, was also built. The second aqueduct known as Old Anio was constructed forty years later and over the subsequent centuries, various other aqueducts were also constructed. Ancient Rome was a vast empire stretched over three continents and there was a need to connect different parts of the empire for the purpose of military mobility, trade, and communication. Thus a complex network of roads was constructed starting from around 500 BC using sophisticated engineering techniques for the time. Over the subsequent centuries, roads of different types were constructed all over the empire and inns and rest rooms were constructed along the major roads. Along with the roads, the efficient town management of ancient Rome was also reflected from the aqueducts that were built to bring clean water from distant areas.